The events that led to the court fight between Kesha and Dr. Luke go back to the beginning of the "Tik Tok" star's career. Here's a timeline of their history. 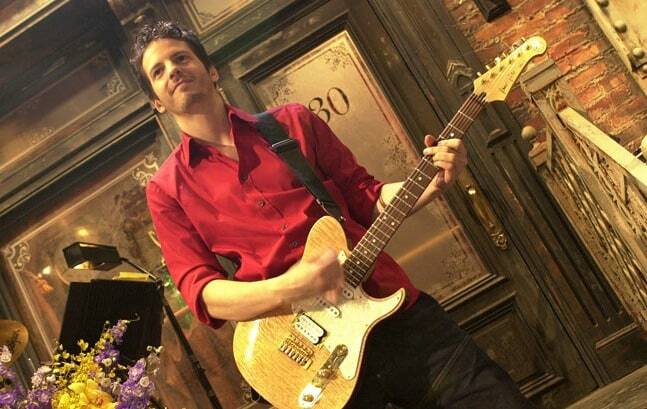 Dr. Luke (birth name Lukasz Gottwald), joined the "Saturday Night Live" house band as lead guitarist in 1997. He also worked as a DJ until he caught his big break co-producing Kelly Clarkson's "Since U Been Gone" in 2004. In 2003, at age 16, Kesha recorded her first song "Stephen" -- a song she co-wrote with her mother, Patricia "Pebe" Sebert. The song would later make its way onto Kesha's debut album. In 2005, Kesha signed a deal to Dr. Luke's record label, Kemosabe Records. Kesha dropped out of high school to pursue her career, earning her GED later on. Kesha claims in her lawsuit that Dr. Luke persuaded her to drop out. While Dr. Luke worked with other artists, Kesha signed with DAS Communications, working in-studio with them for two years. DAS attempted to sign Kesha to a new contract with Warner Bros. Records, but Kesha terminated the contract in 2008 and reunited with Dr. Luke. In 2008, Kesha provided background vocals for "Lace And Leather," a song from Britney Spears' album "Circus." Dr. Luke produced it. Kesha first broke into the mainstream by contributing to Flo Rida's "Right Round," but was not credited in the American release. Kesha originally claimed in interviews that she voluntarily declined credit, but her lawsuit claims that Dr. Luke never compensated her for her work on the song. Kesha's debut album, "Animal," topped the Billboard 200 in 2010, and Dr. Luke won the ASCAP Songwriter of the Year award shortly after. Seven months later, DAS Communications sued Kesha and Luke for $26 million, claiming Dr. Luke "induced, intimidated and convinced" Kesha to terminate her contract with DAS two years ago. In a deposition, Kesha swore under oath that Dr. Luke had never sexually assaulted her. The suit was settled in 2012. Kesha's second album, "Warrior," peaked at #6 on the Billboard 200. Kesha's lawsuit claims that Dr. Luke had promised to renegotiate the original 2005 contract to include increased royalties for Kesha, but that he went back on his promise. Kesha's MTV reality series, "My Crazy Beautiful Life" revealed that Dr. Luke held primary creative control over the production of "Warrior," and that Luke had rejected many songs Kesha had written for the album. Fans begin a petition to "Free Kesha." Kesha collaborated with Pitbull and released "Timber" in October 2013. The Dr. Luke-produced song topped the Billboard charts and was Kesha's last song released for nearly three years. In January 2014, Kesha checked into a rehab facility to treat an eating disorder. 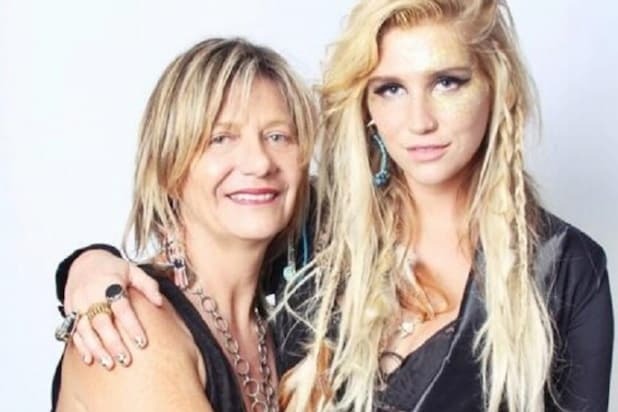 Kesha's mother accused Dr. Luke of aggravating her condition by mocking her image, and the lawsuit claims that Luke called her a "fat f--king refrigerator." In October 2014, Kesha sued Dr. Luke, accusing him of continuous sexual harassment and assault since she first signed a contract with him. Luke filed a countersuit against Kesha, accusing her of trying to defame him to get out of her contract. In June 2015, Kesha expanded her lawsuit to include Sony Music Entertainment, which owns Kemosabe Records. The suit claimed that Sony had turned a blind eye to Dr. Luke's behavior and sought an injuction to allow Kesha more creative freedom and to produce further albums without Dr. Luke. On February 19, the New York Supreme Court denied Kesha's request for an injunction. Kesha's deposition from the DAS lawsuit had been unsealed by Dr. Luke's legal team and was used as evidence against Kesha. Dr. Luke's lawyers said in a written statement that Kesha's allegations were "devoid of factual detail" and that she was free to record future albums without Dr. Luke as producer. Following the ruling, several prominent female pop stars rallied to Kesha's defense, including Lady Gaga, Kelly Clarkson, and Adele. Fans held protests in front of Sony Music's New York headquarters. On March 9, TheWrap reported that Sony is looking to end its contract with Dr. Luke before it expires in 2017. Insiders say that the public pressure in support of Kesha has pushed executives to end the company's relationship with Kemosabe to stop the bad publicity. Dr. Luke's representatives released a statement denying TheWrap's report: “This is not true. Luke has an excellent relationship with Sony. His representatives are in regular contact with executives at the highest levels at Sony and this has never come up.” Sony declined to comment. On March 11, fans of Kesha once again descended on Sony's New York City headquarters to demand the release of the "Tik Tok" singer from her recording contract. On April 29, Kesha ended a near three-year hiatus from recording when she collaborated with Zedd to make a new version of the DJ's song "True Colors." Kesha performed the single with Zedd during the first weekend of Coachella. On May 17, Kemosabe Records rescinded its agreement that allowed Kesha to perform Bob Dylan's "It Ain't Me Babe" at the Billboard Music Awards. Kesha denied a TMZ report claiming that she was planning to make a reference to her legal battle against Dr. Luke during the performance. Two days later, Dr. Luke once again gave Kesha clearance to perform at the Billboard Music Awards. Prior to the announcement, Kesha posted a video of her performing "It Ain't Me Babe" with Ben Folds.